Today is International Women’s Day, and we salute all of the strong and talented women in music whose artistry moves, encourages, and inspires. Many influential women in the music industry paved the path for future generations of female empowerment, and the cycle keeps on going as more female voices stand out from all genres. To all of our incredible AFM Local 47 empowered union musicians: We honor and celebrate you, today and every day. This entry was posted in All News, Features and tagged International Women's Day on March 8, 2019 by admin. Happy International Women’s Day! 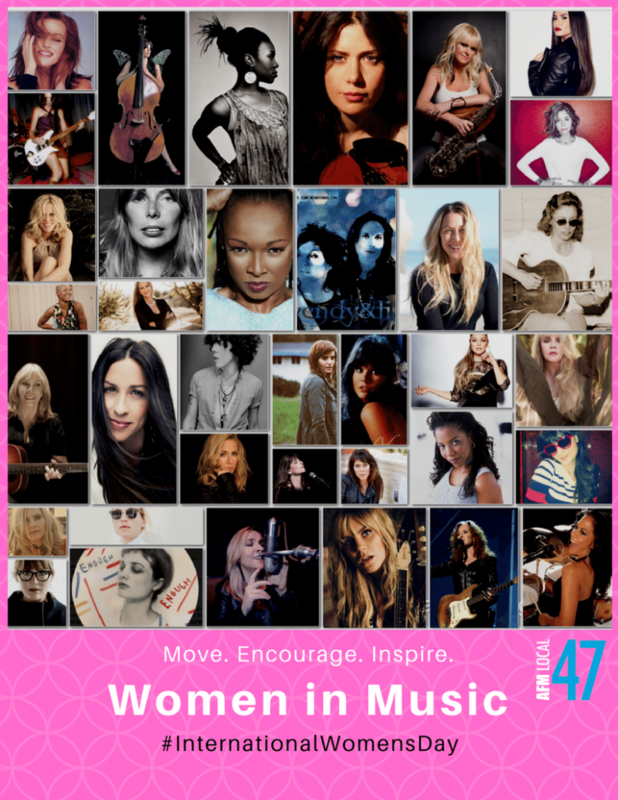 We honor & celebrate women in music whose artistry moves, encourages, and inspires. This entry was posted in All News, Features and tagged International Women's Day, women in music on March 8, 2018 by admin.